At the moment only seismicity is measured. ‘With seismicity you are not only able to measure the size of the earthquake, it can also indicate when activity increases.’ De Zeeuw is going to expand the seismic network with three other observation methods: temperature measurements of hot springs in the vicinity of the volcanoes, Global Navigation Satellite System (GNSS) observations and measurements using the InSAR technique. 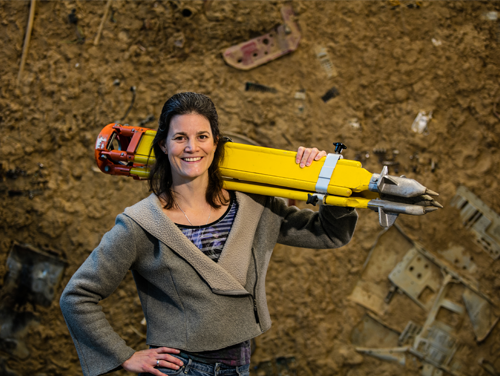 How does a person become a volcanologist at the KNMI? ‘I know exactly how my fascination for volcanoes began,’ De Zeeuw says. 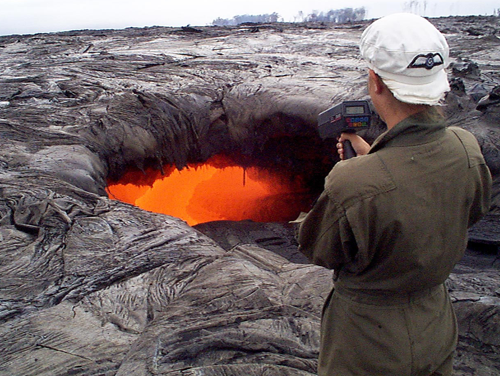 ‘I was studying geology in Amsterdam and did an internship at the Hawaiian Volcano Observatory. That was the first time I saw a glowing, red-hot lava flow up close. I heard the crackling of the fire, caught the typical sulphur smell and felt the scorching heat. That was it, I was hooked. From that moment on I wanted to know more about the subject!’ After graduating De Zeeuw travelled from one volcano to another. ‘I went to the Philippines, Iceland, Indonesia and back to Hawaii. 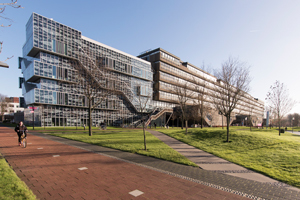 Then I gained a PhD in volcanology.’ When she heard the KNMI was looking for a volcanologist, she decided to go for the job and returned to the Netherlands.